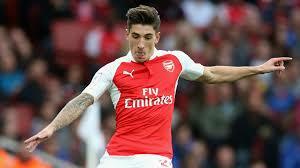 Hector Bellerin has taken to twitter to lament the performance of Arsenal over the past one week when they played Everton and Manchester city. The Gunners carelessly lost 2-1 in both games at Goodison Park and the Etihad Stadium respectively and the youngster has termed it a 'disappointing' week for his side. The Spanish international however thanked the away fans for their support while also expressing faith in the team which he expects to come back stronger. The poor week has put Arsenal in a position where they have to secure consecutive wins in coming games if they are to revive their title hopes. They will play West Bromwich Albion on Boxing Day then Crystal Palace on New Year Day.